Full-range woofers and tweeters harmonise low and high frequencies. Never miss another word by turning on speech enhancement to get clearer dialogue. Enjoy late night TV without waking the whole house. Instantly pair with your remote to control your TV with voice. Control Beam with your voice, the Sonos app, AirPlay or the app for your favourite music service. Create a home theatre system when you wirelessly connect a pair of rear speakers and a Sub. Plug Beam into the power and connect it to your TV using the HDMI cable. If your TV does not support HDMI ARC, use the included Optical Audio Adapter. Sonos Beam supports voice commands with Amazon Alexa. These include commands to start music and content with Spotify, TuneIn and Audible; commands to control other services started with the Sonos app, plus requests for popular Alexa features like “What’s my Flash Briefing?” or “What’s the weather?” or “Play Song Quiz”. Sonos Beam is a more compact speaker and can fit almost anywhere. Playbar and Playbase have more speakers, so they produce louder sound with more width and bass. Beam is perfect for small to mid-sized rooms, whereas Playbar and Playbase are capable of filling large spaces. Beam features HDMI connectivity and has Alexa voice control built-inwhile Playbar and Playbase rely on Optical and work with other Alexa-enabled devices. Can I control my TV with Sonos Beam and Amazon Alexa? For compatible TVs, Sonos Beam introduces commands specific to TV use, including “Turn on the TV” and “Turn off the TV”. Sonos Beam also follows commands such as “Turn it up” and “Mute”, applying them to the TV volume. Sonos Beam must be connected to your TV’s HDMI-ARC input and your TV needs to support CEC features. Amazon Alexa voice control for your TV will not work if Sonos Beam is connected via optical adapter. Compatible with FireTV and other video streaming devices that work with Alexa when they launch in your region. Do Sonos Beam microphones hear me when audio is playing? Yes. 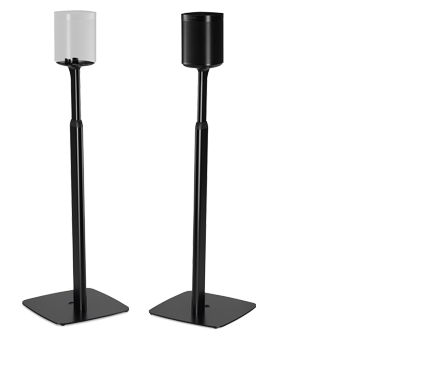 Five far-field microphones are built in to Sonos Beam to detect your voice from any direction, anywhere in the room. You can speak at natural volume to activate Alexa-supported voice commands. Can I turn off the far-field microphones? Yes, simply touch the microphone icon and the light will turn off/on. When the microphone light is on, Alexa is ready for a voice command. When the light is off, the microphone is off. This ensures privacy when you want it. How will Sonos Beam connect to smart home or home automation systems? Sonos Beam connects to your TV’s HDMI-ARC port. Most TVs have two to four HDMI ports, one of which is labelled ARC, which stands for Audio Return Channel. The HDMI-ARC port syncs audio and picture, plus automatically pairs your TV remote to Sonos Beam. If you’re unsure if your TV has an HDMI-ARC port, consult your TV specs with the manufacturer. If your TV is older than 5 years, or otherwise doesn't have an HDMI ARC port, you can use the included optical audio adapter to connect Sonos Beam to the optical port on your TV. Please note that Amazon Alexa TV voice commands will not work when connected via optical adapter. Does Sonos Beam support AirPlay? You can use AirPlay and stream straight to Sonos Beam from your iPad, iPhone and Mac. Learn more on the Sonos AirPlay page. Does Sonos Beam pair with other Sonos speakers for surround sound? Yes. While Sonos Beam is a great soundbar on its own, it also wirelessly pairs with our Sub for added bass and a pair of Sonos speakers for full surround sound. A setup with left and right rears and a Sub gives you true 5.1 surround sound. Can I wall mount Sonos Beam? Yes. You can easily and securely mount Sonos Beam using our custom-designed wall mount. Our wall mount comes in all white or black – to complement your speaker – and is designed with 1 inch/2.5 cm of clearance from the wall to achieve the best acoustics. Sonos Beam also supports a range of certified third-party accessories that you can find on Sonos.com. What audio codecs and formats will Sonos Beam support? Sonos Beam plays audio from PCM stereo and Dolby Digital sources. Sonos Beam plays back all of your TV audio, once setup with the Sonos app is complete. You can stream audio from TV, movies, video on demand, music, radio, video games, audiobooks and podcasts. What if my TV supports a codec that isn’t one of the supported by Sonos Beam? When Sonos Beam is connected to HDMI-ARC on your TV, the TV and Sonos Beam automatically pick the best format that both systems can support. If you are using the Optical Audio Adapter, Sonos Beam will support PCM stereo and Dolby Digital. Why does Sonos Beam have Bluetooth Low Energy? Sonos Beam uses Bluetooth Low Energy (BLE) to temporarily communicate with your phone/tablet during the setup process. BLE does not support audio streaming. Once setup is done, Sonos Beam streams and updates via your own WiFi. Connects to your home Wi-Fi network with any 802.11 b/g/n router. 802.11n only network configurations are not supported—you can either change the router settings to 802.11 b/g/n or connect a Sonos product to your router. Sonos Beam, power cord, HDMI cable, Optical Audio Adapter, Sonos Beam QuickStart Guide and Legal/Warranty information. 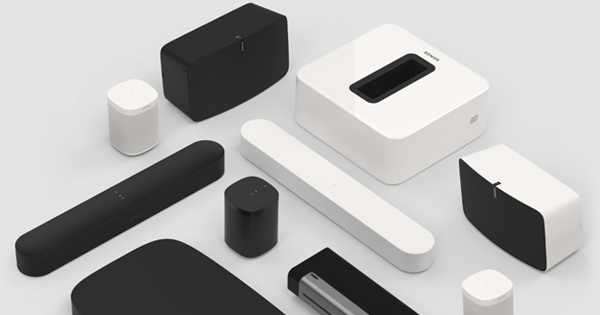 We are confident that you will love your new Sonos product, however, if you are unsatisfied for any reason, simply let us know within 100 days. We will pick up the product free of cost at the original delivery address (in the Sonos Service Region) and refund the full purchase price. If you need to return a product from outside of the Sonos Service Region, please contact Sonos Customer Care. Shipping charges may apply. You strictly follow the Sonos return instructions as set out below. A defective Sonos product? This is our Sonos Warranty. We stand for the quality of our Sonos products. We offer a 2 year full warranty on all products sold. The details of this warranty are set out in our End User License and Warranty Agreement (EULA). A summary of the conditions of the Sonos Warranty is set out below. In the event that there is any conflict between this summary and the EULA, the EULA will control. Your local consumer protection laws may provide additional rules on warranty. The Sonos Warranty does not in any way restrict the rights that you may have under such rules. The Sonos Warranty covers defects in materials and workmanship in every Sonos product for two (2) years from the date of shipment from Sonos or the date of the original retail purchase from an Authorised Sonos Dealer. 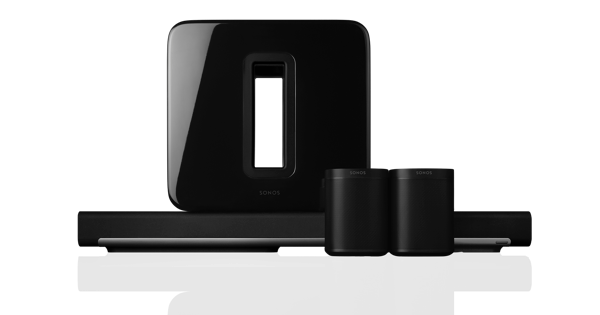 The Sonos warranty does not guarantee that Sonos products will at all times operate without interruption or will be error-free, or that all errors may be corrected. If you have a valid claim under the Sonos Warranty and have returned the product in accordance with the procedure set out below, we will repair or replace the defective product free of cost. If we determine that the problem is not covered under the Sonos Warranty, we will notify you and inform you of service or replacement alternatives that are available to you for an additional fee. Your Sonos Warranty is transferable with ownership, so if you give or sell the Sonos product to someone during the guarantee period, it's still covered. Problems caused by using third party accessories, parts, or components.